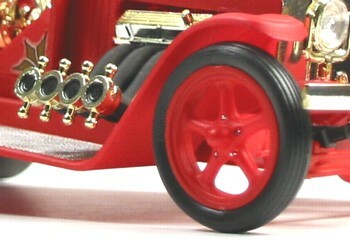 This is Monogram's Fire Iron (Kit no. 7530). It is a reissue kit from 1997. I really looked forward to building this kit. 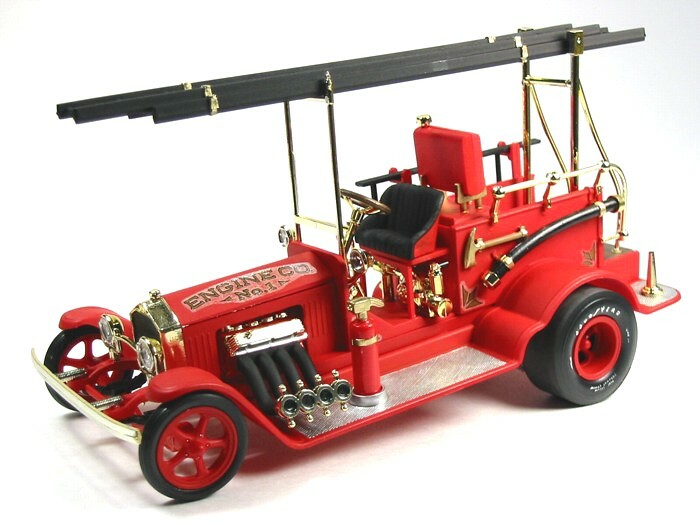 I have always been interested in old fire engines. 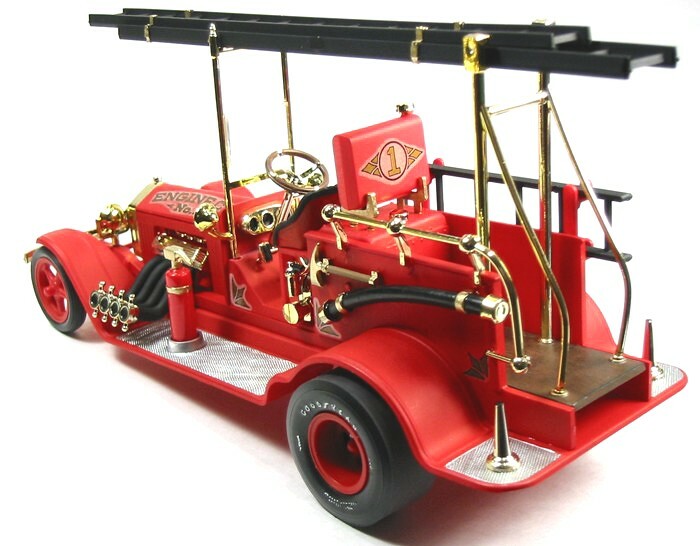 So take an old fire engine and turn it into a show rod and you really have my interest. 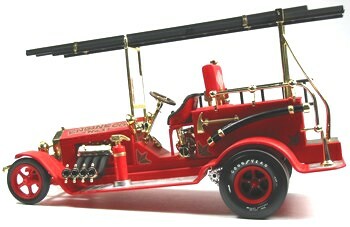 I love the fire hose headers, all that brass, and the way it's all jacked up in the back. I was overwhelmed with nostalgia when I started this kit. I couldn't envision this being nice and shiny so I decided to paint it Testors flat red. 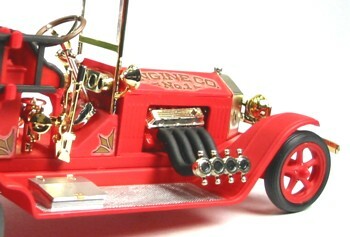 This allowed all the shiny brass to nicely accent the truck. I also sprayed all the ladders and headers flat black to avoid brush strokes. The wood deck in back was painted flat dark brown and aged by dry brushing flat black and a touch of light tan. Otherwise the kit was decorated to look like the box art. This was a fun kit to build. The parts fit together well and it was easy to assemble. My only disappointment is that the decals didn't lay down nice and clear on the flat paint. Oh well, what can you do? Overall, I am still pleased with the way it turned out.